Former Arsenal midfielder Robert Pires has stated that Arsenal needs to sign a new striker to help Olivier Giroud. Although he believes that Giroud is capable of leading the Arsenal attack, he believes that the team needs a backup just in case the French striker is injured. Robert Pires thinks that the team has a great chance to win the title this season, but it will not be easy. He said that the Premier League has become more competitive nowadays and that it might be quite difficult for a team to win it. When asked whether Arsene Wenger should remain as the Arsenal manager, he stated that he still believe in the French manager. He said that Wenger is one of the best managers he has played with, and he thinks that he is the right man to bring the club forward. He has urged fans to stay behind the team if they want the team to succeed. He said that it is normal for a team to lose a match here and there but it is important that fans remain behind the team. He stated that it would not help the team if at each game somebody is asking for the manager to be sacked. It is important that the fans remain behind the team and provide unconditional support. Robert Pires admits that it is becoming more difficult for a club such as Arsenal to win the title because the other rivals are investing massively in new players. Although Arsenal has some resources, it is not unlimited as some of the other big clubs, and this can make it difficult for them to attract new players. However, he believes that Arsene Wenger has a good team this year and that they will be able to compete for the title. Normally when you have two or three offers as a Footballer and one of them is from Real Madrid, you dump the other offers in favour of that because it’s a perfect place for your aspirations. But, Robert Pires had a different view on it when he had the opportunity to make a choice. One of the Europe’s top playmakers that he was back in the day preferred the Gunners’ outfit to that of the Whites. But, now after so many years, he is repenting the move a little bit. It’s the failure to land the European Cup home which might be grieving the France legend, otherwise, there was no such ambition which he was not able to satisfy at the Emirates. There were enough accomplishments from the perspective of domestic soccer. The continental conquest, however, didn’t eventuate leaving it as a small remorse for him. A match of the Arsenal legends is being planned. Figures like Robert Pires, Dennis Bergkamp and Thierry Henry are being considered for the match at the Emirates Stadium. There are other stars who are being considered for the match which will be held in September. Among the legendary players Robert Pires is among the names being considered who would play the match. It would be the beginning match of the 2016-17 season of the Premier League. The others would be Cafu, Filippo Baresi, Paolo Maldini and others. They are all expected to be part of the match to be held on 3rd September. London would be the venue for the match. The tickets are already on sale, being priced around 20 Euros or at a concession rate of 10 Euros where the net proceeds of the game would go towards Arsenal Foundation. This is an organization formed in 2012 which aims to help young people who are disadvantaged in many ways. 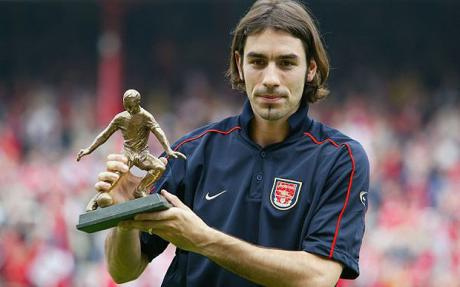 Pires has won about five trophies while he played at Highbury. He had helped the club during the 2006 finals of the Champions League. He stated that he is looking forward to the game. It would be a chance to meet up old friends and to play for a cause. Pires, a Frenchman, stated that, he and others were excited about the match. The hone would be great to play in front of the fans of Arsenal, those who would love to see them back on the field. They would be playing with old friends and teaming up against legendary players of Milan. The chance to raise funds for the Foundation would also be a great honor. The chief executive of Arsenal also voiced his opinions. He stated that the match would be excellent to bring back legendary players on the field for the fans, for whom it would be a treat indeed. Who impressed at the Etihad? Once more Cech was beaten low at his near post by an effort that it would certainly be generous to describe as venomous. Just a few weeks on from his mistake at Palace this is becoming a worrying trend for Arsene Wenger. He may not always have got the better of Kevin De Bruyne, but Bellerin consistently looked like giving City’s star Belgian a thorough examination. That was until he failed to stay with him as the midfielder burst through to drive in a low effort. Not convincing in the air, and rarely composed with the ball at his feet. Another with serious questions to answer over De Bruyne’s goal, where he gave the scorer far too much space. Seemed to be in place whenever Navas got to the byline, cutting out a string of well-placed low crosses. Hard to remember an occasion when he put a foot wrong, not something that could be said of his team-mates. Particularly struggled with the pace and running of Jesus Navas on a rare on-day for the City winger. What should have been an easy task for the Spaniard turned into a hellish afternoon for Monreal. Arsenal spent most of the game without possession, and it really didn’t suit Elneny. He is not entirely convincing when called on to win the ball back though he did earn an assist for Giroud’s goal. Made a string of impressive tackles in his own half as City poured men forward in the opening minutes and was often the man kick-starting Arsenal’s counters. Did his fair share of diligent work in defence over the 24 minutes he managed on the field, tucking in neatly, stealing the ball and providing a threat on the counter. Another knee injury will be a source of serious concern to Wenger. Rather too blase in possession, hardly the most helpful of attributes when Arsenal had so little of it to work with. One kamikaze pass in the direction of Aguero summed up a disappointing day for the youngster. Sanchez was full of the drive and purpose Arsenal needed, consistently forcing the impressive Gael Clichy to make a decision. Nowhere was this more apparent than his goal, when he dovetailed impressively with Giroud in a way many Arsenal followers doubted he ever could, driving on to the Frenchman’s lay-off and slotting home. Aston Villa will be without several players in the game that could see them get relegated. Players such as Alan Hutton will be suspended for this game while Ciaran Clark will face a late fitness test to determine whether he can play a part in the match. On the other hand, Aston Villa will be able to get Gabriel Agbonlahor back in the team after he was suspended for a breach of club’s discipline. In a difficult season for Aston Villa, they will want at least to make a double over Bournemouth. Indeed, Aston Villa won at Bournemouth on the opening day of the season and up to this date remains their only away win. Aston Villa fans will be expecting, at least, a response this season from their team before they are officially relegated from the Premier League. They will want at least to see some qualities that will give them hope that they may make an immediate return to the Premier League. But with their current management problems, it is more likely that they may stay in the Championship for quite some time unless there is a significant change at the top. Chelsea emerged as the champions of the 2014-15 Premier League season in a dominating fashion as Jose Mourinho and his team collected 87 points while their nearest rivals which were Manchester City had to settle with 79 points. During that season, Chelsea only lost 3 matches. Only 3 lost games from 38 games, this is an impressive feat for any club and it was no doubt whatsoever that Chelsea deserved to be crowned as the champions of England. Things have taken a huge in a short period of time as the new season of the Premier League kicked off on August and Chelsea are now struggling to replicate their form of the previous season. Arsenal are reportedly interested in signing Alexandre Lacazette, who was one of the top players in the French league last season. The Lyon forward finished the campaign with 27 goals, which put him above the likes of Zlatan Ibrahimovic and Edinson Cavani in terms of the top goal scorers. 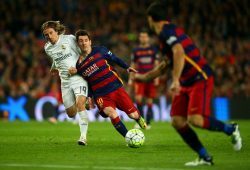 This impressive campaign has led to enormous transfer interest surrounding the player. At just 24 years of age, he is at a perfect time to complete a move to a big club. Even though Lyon appeared to be in contention for the league title for much of the campaign, they will struggle without a player likeLacazette. Cristiano Ronaldo has been getting absolutely crucified everywhere for celebrating his birthday. Yes, you read that right, only for celebrating his birthday. The pundits reckon that it was not a great gesture by Ronaldo to go ahead with his birthday bash just hours after Real Madrid’s thumping at the hands of their local rivals Atletico in the Spanish top flight. The Los Blancos fans are not too amused either. They have started questioning the professionalism of the Portuguese player. Some fans were saying on Twitter the other day that Ronaldo had not remained as passionate for his club as he used to be when he had first arrived at Bernabeu. These things must be hurting Ronaldo a lot because he has always played his heart out for Madrid. Ronaldo’s national team boss Fernando Santos though has come out batting for the player. According to Santos, the talismanic striker does not deserve so much of criticism. It’s not that he had planned that party after the defeat. It had already been planned a few days ago and to cancel that at the very last moment would not have been appropriate. Robert Pires Interview, Pires, Robert. Robert Pires CannavaroMarco, Fabio, MaterazziRobert, Piresn, Roni, Sitepu.